We recently just posted a frothy Louis Vuitton top and skirt set worn by “Outlander” actress Caitriona Balfe at the 69th Cannes Film Festival. Recently, we just happened to spot exact same top and skirt set again on another celebrity. 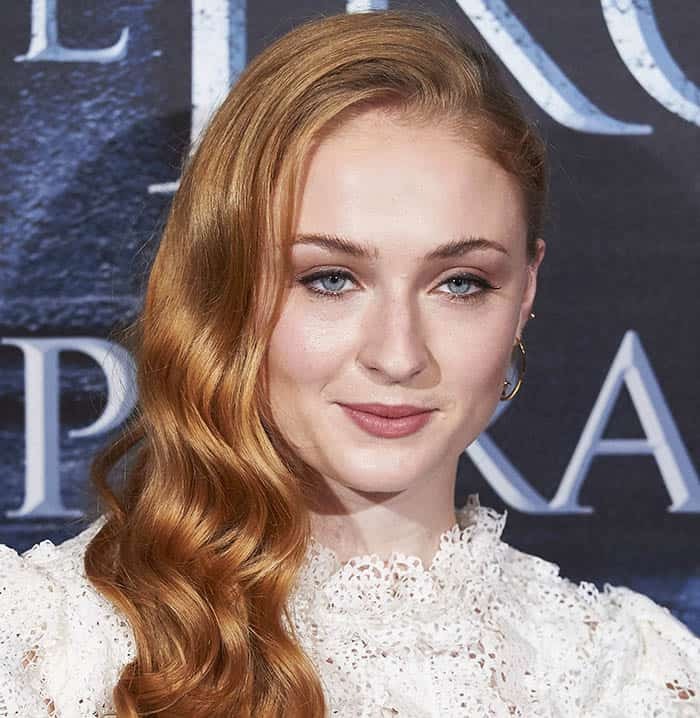 This time, it was “Game of Thrones” actress Sophie Turner, who was in Spain for a fan event centered on her show. The 20-year-old toughened up the delicate look with a pair of Louis Vuitton lace-up boots. This is a bold choice and can easily overwhelm a lesser woman but surprisingly, Sophie made it work. It’s her whole attitude that turned this otherwise fail of a look into a semi-success. The 36-year-old took French-chic to heart and wore this top and skirt set with a pair of gold-tone sandals. While Sophie took the edgy route, Caitriona opted for Parisian finesse. We actually liked Caitriona’s styling better. Sophie did a great job making a statement in those lace-up boots but we just prefer the feminine-on-feminine touch that Caitriona went for. What about you? Which styling did you like better?